She started high school last week—left this house in a ball of nerves and excitement and fear and delight, curious about this new, independent path she was about to walk, sans her mother’s hand to squeeze during the scary parts. I offered to make her an omelet. She wasn’t hungry. I plotted to drive her two blocks to the bus stop. Her father told her to walk, and he parked a block away, in case her ride didn’t show up. She did let me take a picture of her dressed in her first-day-of school outfit, a custom we’ve practiced every year since her first day of school at age two. For this small piece of ritual, I am grateful. I stared at her picture through tear-filled eyes for at least an hour. It’s so cliché, that whole “where did the time go—it feels like she was born just yesterday” thing. Still, the feeling is visceral. True. And really, it’s starting to sink in that the sweet little ball of chocolate I carried in my belly and pushed through my loins and fell totally, helplessly, eternally in love with all those years ago is a baby no more. My firstborn child, my Mari, is 14. There’s so much that comes with this age, things that make all the other milestones we parents tend to fret over—sitting up, first words, first steps, potty training, dry nights, first day of kindergarten, first lost tooth and all of that—feel trivial. After all, when they are little, they are dependent and vulnerable and our jobs as parents, as my mother once told me, is to “keep the kids from killing their fool selves.” We grown-ups are in total control. We know it. The children know it. There is no pushback. It is what it is. But, my God, how those dynamics change when our babies mature and those hormones are in full effect and they start smelling themselves and get behind the wheel of their own thoughts and emotions and desires and… pull away. My Mari has her own ideas on how she wants to dress, what she wants to listen to and watch, how she feels about the world around her and how she wants that world to really see her. My once sweet and helpful and bubbly child has morphed into straight lines and sharp edges, with an attitude and opinions and a fierce hunger for independence—the kind that comes with a challenging of rules and a demand for self-sufficiency and a smidge, too, of secrecy. I remember 14 and I (try to) understand—(try to) acknowledge that she has the right to like what she likes (within reason) and think how she thinks (with logic and evidence to back it up) and feel what she feels and that those likes and thoughts and feelings may not necessarily sync with mine and this is okay. As she evolves, so, too, do I. So I loosen my grip. Just a little. Enough to let her wings flutter. For her to make her choices—in clothing, in friends, in the things that interest her. She can walk across the street from school to the Starbucks and the Earth won’t stop its rotational spin. She can talk to her best friend on FaceTime until midnight on a Friday and let out that primal teenage girl squeal when a Mindless Behavior video comes on TV and ignore her little sister and, for hours at a time, answer questions with one-word mumbles and the sun will still rise in the morning. She can choose the blue shirt instead of the green, wear the stretch jeans, purple shirt and sneakers instead of the hip pink dress and sensible flats, and rock her hair cascading on her shoulders instead of the gorgeous top-knot I think shows off her beautiful face, and she will still be… mine. Still, allowing this feels like she’s taken one of my lungs. She’s learning to live. I can barely breathe knowing that while I am still a part of the equation she uses to factor how to legislate her space in this world, I am no longer the absolute in my 14-year-old’s math. So this is where trust comes in. Not only in my daughter but my own parenting skills. My husband and I have done our best to steer our daughter down the right path—our family path. We have reminded and still do remind her constantly that the world is bigger than our little corner of Georgia, that a hairstyle or a stupid, ratchet reality TV show doesn’t define her or her blackness, that the price of her shoes or the label in her shirt is no measurement of her worth, that books and art and culture are as necessary as air and the only time she should ever stop learning and challenging herself is when she is gone from this Earth. And as she navigates high school, this new terrain of peer pressure and hormones and boys and no-nonsense teachers, I want—really need—my Mari to know that she has a voice and opinions and feelings and an experience that is valuable and important and true. And that she has the right to use them. To have them heard. Respected. This is all to say that raising a 14-year-old ain’t for punks. It’s when parenting gets real. I face the challenge head on, knowing that my one-on-one time with my daughter will be cut short in just four years, when she heads off to college. I accept the challenge, too, because I am hopelessly, helplessly in love with her. This will be so until dolphins fly and parrots swim the sea. Today I lend my voice to help raise awareness of children around the world who need a shot at reaching their own 14-year-old milestones. This post is inspired by Shot@Life, an ini­tia­tive of the United Nations Foun­da­tion that edu­cates, con­nects and empow­ers the cham­pi­oning of vac­cines as one of the most cost effec­tive ways to save the lives of chil­dren in the world’s hard­est to reach places. A child dies every 20 sec­onds from a vaccine-preventable dis­ease. Every year, 1.5 million children die of diseases that could have been prevented by a vaccine. Some moms do not have access to them. Others walk up to 15 miles just to get their children vaccines. We can change this real­ity and help save kids’ lives. Help me help them. 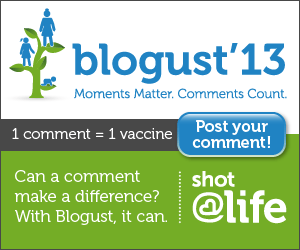 Throughout the month of August, 31 bloggers are participating in Shot@Life’s Blogust, writing every day about moments that matter and raising awareness about vaccines. For each comment on this post and the 30 other posts, Walgreens will donate a vaccine (up to 50,000 vaccines). LEAVE A COMMENT AND A CHILD WILL GET A VACCINE. Your comment does not have to be super-involved. A simple, “I’m happy to help!” will do. Size doesn’t matter. But your words do. Just a few of them on this post will help save the lives of our most precious resource—our children. Sign up here for a daily email so you can quickly and easily comment and share every day during Blogust! Stay connected with Shot@Life at shotatlife.org, and join the campaign on Facebook and follow them on Twitter. Thank you, David! This was, by far, one of the hardest posts I’ve ever had to write. It forced me to open my eyes to the very simple truth: my daughter is growing up. I appreciate your comment! Love this comment, too! Describes 14, oh, so well! So great to hear how a little girl blossoms into an adolescent! Now we need to ensure that all children throughout the world have this same opportunity. Making sure all children have access to life saving baccine preventable diseases! So you know I’m boo-hooing and smiling over here while reading this. And I don’t even have kids! LOL!! This blog piece is such a heart-strings- pulling-piece filled with love. No problem leaving a comment! Awwww! I didn’t mean to make you cry! (But how about it makes me tear up when I read it? Such a punk.) Thanks for your comment! I want to help. My daughter turned 13 this summer and soon will start 8th grade. I must be in some sort of denial because I just realized that means high school next year!! *can’t breath! It’s not easy. But we manage, don’t we? She. Will. Be. Fine. (That’s what I keep telling myself. LOL!) Thanks for your comment! Thank you for your comment, Eve! Oh my goodness, Denene, I am totally a punk! What will I do when my baby girl turns 14?! I’ll come back to this post and remember that even one of my most respected parenting experts worried for her daughter’s future – just like I do. Vanessa, thank you for your kind words—and especially for being you. I think you’re a terrific mom, too, and your baby girl is going to be just fine—I know it! Oh Denene, high school! I can remember that first day and wanting my mom but being scared to say so…. Morra—so can I! I remember that and being glad she worked in the morning, which allowed me to sneak her make-up out of the house in my book bag. Oy! So devilish, teenagers are. Thanks for your comment! Going to a very strict girls school with uniforms and NO MAKEUP in Australia made for a very different experience. But still, I can feel your thought processes. I was terrified and so excited. And, did I mention terrified. All swirling together. What a stunning reflection of the complexity of this age and stage. Blessings to you and your Mari. Thank you so much, Chrysula! I appreciate your compliments and blessings, and especially the incredibly invaluable work you’re doing with the Shot@Life campaign! Love your post–especially the thought that you not only have to trust her but trust also the parenting you’ve done. At some point there is a confidence that–although shaky sometimes–that you know your child will be all right–you’ve given her what she needs. Thanks for sharing this! And thanks to Walgreens and Shot@Life for caring about children all over the world. Frank, thank you so much for your kind words and for your comment. I’m waiting for that confidence to kick in. It’s there… I just have to trust it! Francella—yes, a roller coaster ride explains it EXACTLY! I’m just not ready to put my hands up into the air and feel that drop. Not yet. I’m working on it, though! LOL! Thank you, Jess—I appreciate your compliment and your comment! Shanniel: truly, there is no experience on the planet quite like it. Thank you for your comment! Linda: thank you so much for your comment! Danene, your post took my breath away. “I am no longer the absolute in my 14-year-old’s math.” Brilliant. I’m there with my thirteen year old and every word of your post struck a chord with me – a symphony of truth this morning. Thank you! And thanks for supporting Shot@Life and vaccines for kids!!!! And thank you, Emily for your lovely comment! It is truly a wonderful time – watching our children grow and become real people. You have done a great job of describing the “mom” feelings that go with it. Thank you so much, Delores—I appreciate the compliment and the comment! I am dreading this time with my little ones! It’s a scary time, but an awesome one nonetheless, Liza—don’t be scared! Thank you for the comment! Thank you for this thoughtful blog on the journey to 14. And thank you, Veramur, for your comment! Oh my goodness, this took my breath away! Ilina: thank you so much for the compliment and the comment! Just finished 14 and oldest son turned 15. As bewildering as it is for them so it is for us! I know that’s right, Myrdin. I’m trying to remember that! Thanks so much for your comment! Thanks for post. Makes me treasure time with mine when they are young. Absolutely, Mommy Of Little Ones. Enjoy it now—it goes by so fast! Thanks for your comment. Imagine your 14 year old girl telling you she wants to go to boarding school…IN JAPAN! Leaving you 4 years early. But you are so excited she is CRAZY ADVENTUROUS, CRAZY INDEPENDENT, the coolest 14 year old you have ever met. I am going to miss her LIKE CRAZY but boy am I excited that I’m going to have the most fun with her when she’s grown up! Wait, whoa! JAPAN?! Shelly, I’m so impressed by your daughter—and especially by your willingness to let her fly in the way she sees fit. I don’t know that I could do it. But I admire her will and your courage. Thank you for sharing that—and also for the comment! Oh, this is beautiful and I can relate. Thank you so much, Lucrecer! I appreciate the compliment and the comment! Thank you, Rob! I hope all is well with you and yours. Thank you so much for the comment and the compliment! Thank you for the compliment and the comment, sister. The Queen In Me Salutes the Queen In You! My eldest is 12 and I’m already struggling with balance between allowing him to develop his own personality and wanting to whip some clear sense into him. I can’t even imagine what will happen at 14. Lord help me. Lisa—it’s going to be okay! Trust me! Thank so much for the comment! Thank you so much for the comment, Allyssa! That, right there? Brilliance! You always manage to do it for me. You so perfectly captured the anxieties coursing through us parents of new teens. Especially of teen girls (yes, I’m going to go ahead and say that it is definitely different than when the teen is a boy!). Beautiful, beautiful job, my love. Nick, I’m so glad you’re here with me on this journey. These girls need you—and are quite lucky to have their father in their lives in such meaningful ways. I think our kids are gonna be all right! Thank you, cousin—I appreciate you! Lamar: now you know I’m going to have to borrow that one. “Seasons change, mad things rearrange.” Amen to that! Thanks for the comment and, as always, the support! Girl, girl, girl, girl, girl. Say it. Again. May all parent of girls and those of boys read your words and feel connected to the message. May they reach out and back, in front of them, around them and lock arms with other parents in solidarity and a willingness to work together to protect our brown babies. We give them roots. The lessons help them grow wings to fly. You are the bomb.com. Thank you. Awesome! I can comment for a vaccine! Great post. Quinn, I appreciate your leaving a comment! Indeed, Elizabeth. Thank you so much for your comment! Thank you so much for the compliment and the comment, Kim! A universal experience with many individualized touches. The concept you’re speaking to below was VERY hard with the oldest and is slightly easier, or maybe just less personal, with the second. This time, I know she’s only pushing me away to make more room for her growing independent self. Yes, the second ones always seem just a little bit easier, don’t they? I’m hoping mine will be, too. What a journey! Thank you for your comment. Beautiful post Denene…you have such an eloquent way of expressing what we all feel as parents! I swear that first sentence is a poem…it’s art! Aw—thank you, Ronnie! I appreciate that. Thanks for your comment! Thanks for writing this. My kid is 4, and already she’s getting more and more independent. I remember the days when I couldn’t even leave the room and it would make me crazy… now, I almost miss that. Parenting is not for the weak of heart. The crazy thing is that as the kids move through their different milestones, you never, ever stop missing what’s passed. (But my youngest is 11 and she STILL won’t leave me to my alone time in the bathroom! HA!) Thanks for the comment! Jessica, cherish these moments. They go by fast! Thanks for the comment! Thank you, doll—I appreciate you! Great read. Going through something similar as my little boy turns 10. Double digits. Plus he starts at a new school where the kids from the 6 elementary schools all merge into one upper elementary. I find myself wanting to save recordings of his little boy voice and wide eyed innocent million and one questions. Ah—double digits! That’s when the magic happens. Get as many pictures and videos as you can. I’m sad I didn’t get more while my girlpies were younger. Thanks for your comment! Beautiful piece – thank you for sharing! And thank you, Blauewolf, for your comment! Thanks for your comment, Ty! Great post, thanks for sharing. Let’s get more comments! Ahhh, yes, fourteen. I, too, have a fourteen-year-old. A boy. He, too, begins high school in two weeks. He is the youngest of my five children…and I am exhausted. And he knows it. And that’s not good. The one thing experience allows you is the comfort of knowing that your children will survive you, and you them. And this gift, which I’ve earned at least by now, is what frees me from constantly questioning myself. You really shouldn’t question yourself all through your kids’ adolescent years. That’s your teenagers’ job and they will do it well! Know this, you and Nick have raised two glorious baby girls, Mari is a brilliant, thoughtful, keeps her own counsel, heart of a lioness – young woman, and Lila, well, she is a mogul in the making, funny, sweet, and a freaking shark at business, all at 9 years old. I am very afraid, and hope she allows me to keep my business once she takes it over. But you’re right, raising these young girls into womanhood, ain’t for sissies, but Denene, you sure as hell ain’t no sissy. Frankly, you are not to be played with, and this I know, like I know my own name. So these two girls, will soar, because they have it in their DNA and you as their momma. Powerful, Denene! As I read your words, I was really trying to imagine my nearly six-year-old rising first grader as a 14-year-old high schooler. Wow! Parenting is no joke, but parenting a teenager is a straight-up faith walk! Miss Denene, you got me over here bawling. My baby is FAR from 14 ,and I,have the urge to grab her and try to,shove her bavk in my womb. She’s starting first grade next month and I’m excited and terrified cuz she’s going to be out of the house all day and everywhere around me will be her things. She’s goinb to come home and tell me about her bff,and it’ll break my hearg that I’m not her bff anymore. But I’ll be happy that other people thinks she’s as awesome as I think she is. And I’ll thank sweet Jesus that He gave me this gift. Please comment to keep the donations and Blogust going! Wishing everyone a great day. My eyes filled with tears as I read this eloquent post. What a gift you have given your Mari in allowing her to fly. I’m just a few years away from this myself and I’m NOT READY! I’ll need to favorite this post to read it again. Sigh. wonderfully written … I don’t have children but this made me think back to when I was 14 (almost 50 years ago) and what my poor mother had to go through! but I know she loved me anyway and probably had many of the same emotions that you expressed. What a beautiful mother/daughter relationship you have! This is an exceptional piece. Letting our children grow and become who they are meant to be is such a bittersweet thing. I tell my children all the time that no matter how old they get, they will always be MY babies. However, I have had to learn with time that I cannot treat them like my babies but young men and women who are coming into their own. Thank you for this reminder! Love this post. And I understand your feelings all too well as my “baby” turned NINE last week. It’s a whole new ballgame. And I laughed out loud at reading your mother’s take on parenting little ones: to “keep the kids from killing their fool selves.” SO TRUE! Great post! My baby girl is 7 and I already see her pushing the limits and trying to be independent and here I am fighting to get her to stay a baby! Beautiful post! Thanks for sharing and thanks for supporting Shot@Life! This is an excellent letter. It definitely addresses the concern that loving parents have for there children. This phase of parenting moves to another level, that of trust. One would hope that the care and nurture given over the span of 14 years by the parents to the child would account for some measure of love and respect. But, reality seems to display a different view when hormones and peer pressure become a catalyst at this juncture of the teen’s life. This puts the loving parent between that proverbial rock and hard place. I agree that this is no time to ‘punk- out’, more than ever the parent must be understanding, yet unwavering in the core values that have been put forth up to this point. Amazing story, although I am not a mom myself yet, I imagine that someday I will feel all these same things! This by far is my favorite part of your post and advice similar to that my own mother gave me when I was 14: “We have reminded and still do remind her constantly that the world is bigger than our little corner of Georgia, that a hairstyle or a stupid, ratchet reality TV show doesn’t define her or her blackness, that the price of her shoes or the label in her shirt is no measurement of her worth, that books and art and culture are as necessary as air and the only time she should ever stop learning and challenging herself is when she is gone from this Earth. ” Such wonderful advice that every teenage girl needs to hear! Thank you so much for your post! Wonderful. Thank you so much for sharing. My daughter’s wings have just started to grow, at 9, and the very idea shakes me to the core. I’m so not ready, but reading this has helped to see that I need to start getting ready now. I’m really enjoying all of the blogs this year! Thank you. Thanks for bringing this issue to light, Denene! This is what it’s all about, delivering her to adulthood with her mind intact and her heart open. Beautiful, and so true. I have two girls as well who are teens. It is not easy, but it is wonderful. I’ve been through two 14-year-olds thus far. Know that, even if they run off the rails or reject you completely for a time, the good values you instilled in them when they were young are still under the behavior and attitude, and they will come back to you – at least my two did – with sincere apologies and thanks for raising them the best I could. And thank you for supporting Shot@Life. As the mother of a 16-year-old girl who has been fighting so hard to define herself on and by her own terms, I applaud you and Nick for raising such a beautiful, self-determined girl. It will be hard to watch her struggle and sometimes fail, but she is blessed to have a mom like you by her side. Beautiful sentiments. Best wishes to Mari in high school. This made me sad and happy and nervous and reflective. Thank you. I can remember 14 so vividly, and this touched me so deeply. Love this! My baby is 12, almost 13 and this is happening all too fast. I thank you for this. 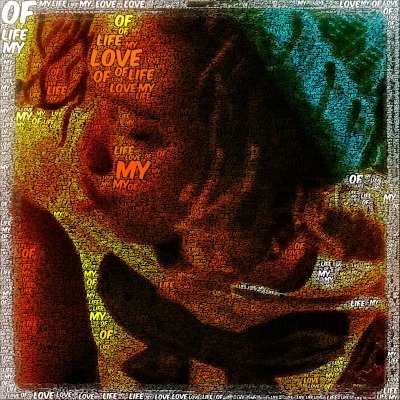 You have a beautiful writing style and voice.Thank you for your contribution to Shot@Life. You provided a wonderful story for a wonderful cause! I especially liked when you said “I want—really need—my Mari to know that she has a voice and opinions and feelings and an experience that is valuable and important and true. And that she has the right to use them. To have them heard. Respected.” She is lucky to have you to help guide her through those wonderful yet challenging years! Best wishes! What a touching & sweet post! As mother of five (two teenage girls currently–Please pray for a Sistah! ), I realize this is an emotionally-filled time for parents and teens. You are blessed & your daughter will do well with the arsenal of knowledge and love she’s been given. I’m definitely aware that rearing children is NOT for the weak. I’m a WarriorQueen! Be blessed & pray for my strength to be renewed. Loosing the grip is the hardest part, but it’s necessary if we want our kids to thrive. Great post. 14, high school, wow — the memories. For the record, the guys are terrified too. Oh man. I don’t want to even THINK about Le Kid going to high school. Actually, we had one of *those* mornings today…so the quicker the better. lol. Anyway, BEAUTIFUL post, D. I hope I raise him up to be as dope as the girlpies! My last formal year of schooling was at 14. After that it was time to go to work to support my mother and younger sister. My Dad had died when I was 10 and I was the man of the house. But the encouragement of my wife in later years got me back and school and I got my GED (equivalent) by going to night school. Luckily I was a voracious reader and would absorb half a dozen books a week. Knowledge comes in many ways. So does growing up. Thanks for this post. The title of your post got my attention. My oldest will be 12 in 2 weeks. Yesterday was the first day of middle school. It was a disaster. His nervous energy resulted in hormonal imbalance that destructed everyone in his path – myself included. I wanted to run and hide and poke my eyes out. No one said it would be this hard! Today was what I had hoped for yesterday. You have done a great job with your girls! They’re amazing little women. Trust yourselves and all will be well. Wonderful! Thanks so much for sharing in honor of this great cause! Thank you for explaining so well the mother’s viewpoint of this age in a child. I have never had children, but I remember the whirlwind of emotions I felt when I first went to high school especially as I had to miss the first week due to a surgery. It was hard to adjust to the changes, but all the sorrows and joys I experienced were worth it. It was a time of trying to figure out who I was and time of unending questions. A time that had a great influence on my future. I am glad that your daughter has you as support if ever she has need during this time as you seem to have a great understanding. May she just bloom beautifully into whatever she wishes to be. I would be leaving a comment no matter what, today. So wonderful that Mommy (and Daddy) know that Mari is going to be starting to make her way into the world. She is going to start making decisions for herself, that will affect her. The great thing is that she has received wonderful advice, care and love from her family that will help her navigate her way through these years. We do have to let our children spread their wings, this is what helps them to become wonderful adults. You only cried for a hour, how strong you are. Oh well there is still the trip to college in the future, for this you will need boxes of tissues. LOL and loads of love to your family. Thanks for sharing 14 again. I remember first day of high school I threw up,was so nervous. Thank you for sharing your story. “…while I am still a part of the equation she uses to factor how to legislate her space in this world, I am no longer the absolute in my 14-year-old’s math.” And, I bawl. I have been watching a couple of mothers close to me get ready for fourteen as well this summer. As with them, I think the parenting you’ve already done will serve Mari in good stead. Thanks for your post. Yesss. This was so beautiful. And scary as hell. LOL! I’ll be there in twelve years and while that sounds like a really long time, I know it isn’t. Hats off to you, Denene and Nick. This a very good post. I have 3 daughters, one in her second year of college, the middle one a Junior in high school and my baby 6th grade. Even the decisions they make that I don’t agree with, still forces me to just revel in their amazement. I am proud to say that I have done a good job and because of that I have some extraordinary girls! The best you can do is make them as competent and independent as possible. My kids hopped in their cars and drove themselves to college. We all loved their ability to do that. Thank you for sharing your heart. My nephew just turned 14. What a great time of self discovery he has started. Already experienced it with my own daughter. She is 19 now. I still have two more kids to go. One is right around the corner and the other is still a long way from it. I am so blessed to be able to live in a country that allows those thoughts of the future happen when so many countries focus on just getting their children past age 5. Wonderful post! thank you for sharing!!! OH! Your post expresses all the emotions I’m feeling THIS MINUTE. My oldest is 14, and she will begin high school next week, and . . . well, I don’t have to tell you. Brilliant writing. Thank you for being involved with Shot@Life!! My daughter starts high school this year too. I am nervous but excited. Can’t wait to see what she does! Sniff sniff. Feeling it over here, big time. Mine is starting her Jr. Year. Sigh. I send my oldest son off to his final year of public school (he’ll be a senior this year). Talk about having one of your lungs ripped out! My baby starts kindergarten the same day, and I don’t know if I can take two milestones in one day. Raising a child is not for the faint of heart, but my oldest has already shown me that it is well worth all the worry and sadness because they make the bright days even brighter. Awe! My oldest is 8 and the time sure has flown. My oldest are twins and they are 15. This post really spoke to me. Thanks for writing it! Love, love, love this post! (Pretty sure I was quite a handful for my mom when I was 14!) Such a crazy time of life– but you captured it pretty well! Enjoy this time! Well said! You touched my heart. My youngest child just graduated from high school and once again the “math” is changing. I am fortunate that my children all have gone to school locally (we have many great schools in southern California) and have lived at home but it is also a difficult transition. My heart sings as I watch them become caring, responsible adults but it makes it no easier to let go. I love the person each one of them has become. I enjoy the time we spend together and my relationship with each of them now includes a level of friendship. But, it is nice to know they still need me sometimes, even if it is just to talk. I have found many rewards as my children have grown but my newest is a grandchild. The love for him is just as full as it was for my children but with the added bonus of the freedom to “just enjoy” and not have as many of the worries I had when my children where that young. It brings tears to my eyes as I watch my daughter with her son and see what a wonderful parent she is becoming. And, every once in a while, she thanks me for being such a great example and brings a tear to my eyes. Amazing. You sound like an wonderful parent and have many great experiences ahead. Thank you for sharing. Even though I’m not a mother myself, I can appreciate this article. My dear nephew is now 15. I miss the little boy who was my buddy, but love to see that he’s growing into a fine young man. Thanks for sharing your thoughts! I have six years until we get to this milestone, but it is closer than I want it to be. Thanks as always for sharing your insights with us! Thanks for supporting Shot at Life! I’m just like the others I Love this post. It made me cry and smile too. As I have a 14-year old daughter who is my first born going off to high school. And it’s so hard to release those strings. But I know we do have to let them grow , but sometimes I wish I could turn back the hands of time just for the moment. Thanks for writing this. I am going to send it to others I know would love to read this. Enjoyed reading about your daughter growing up. Thank You for your participation in this campaign. Thanks for supporting Shot at Life!! Great piece – trusting and respecting our daughters is the first step to giving them confidence and self-respect! What a delightful blog. My daughter is now 45 but I still remember that big step she made to high school. Independence is what we all wish for for our children but it is hard to let go. I must say that the rewards continue to come and now I have the pleasure of a 14 year old granddaughter taking that big step. With you love and support your daughter will be fine and so will you. Thank you for this. My oldest is 8 months and I know I will look back the same way- where did the time go and what happened to my sweet, joyful girl? She won’t look at me with the ‘that’s mommy!’ smile anymore. Instead she’ll give me a mischievous grin and show me how she can fly. My heart will break as my hands try so hard to let go. “I am no longer the absolute in my 14-year-old’s math.” – This sums up how I feel about my twins. They just turned 14 and started high school. This made me cry! It’s one of many bitter sweet times in the lives of our kids and parents.First day or school, first day of high school, graduating from high school, it goes on and on. Everyday they get more independent and need us a little less. Both my sons are married now but even though I know they don’t “need” me anymore, they still love me and want me around. That feels great! Mari, who sounds like an incredible young woman, will still want you & her Dad around too. Don’t you worry about that! And she wants you both in the picture now, even when she acts like she really doesn’t! I remember these days so well. My husband and I have two daughters, now 31 and 33 (where does the time go). They have become amazing women that I am proud to say that I helped to raise. Truth be told, they raised me as well. Thank you for the post. wonderful post in support of shot@life! Oh my goodness—fabulous perspective and insight into 14! My daughter is 8 1/2 and every day I think about what the future brings with excitement and trepidation. TFS! Wish I had thought to take a first day of school photo of our 2 kids! What a great tradition! Now ours are on their own. I’m still putting together scrapbooks for them! As a “young adult,” reading pieces like this makes me appreciate my parents so much. Great post. Great post! I feel your pain. It’s been 16 years since my daughter was 14. I don’t remember how I felt about her going to high school. Probably a lot like you. But you raised her right and you still are doing it. She’s got a wonderful family who loves her. She’ll do fine. She will be amazing, just like you! Thanks for posting! Wonderful balance between holding on and letting go, both at ghe same time. I have years until my children will be this age, and I’m already terrified! Add one more vaccine! Happy to help…scared for when my daughter reaches 14! My firstborn, my son, is also fourteen and starting high school soon. This post perfectly expresses some of my feelings about letting him be who he is, trusting he will remain the young man we’ve raised him to be. Thank you! My first baby enters middle school in just a few weeks–yikes! Would all mothers were able to experience the trepidation of having their baby reach her/his 11th birthday. Thanks, Jess! I’m quite proud of the way the new blog turned out. And yes, at 45, I’m still quite the Daddy’s girl! Thanks for your comment. As I prepare to drop my youngest off to college this weekend, I feel your sentiments exactly. I am holding back the tears and have had many of pep talks with my own peers to ease my own anxieties, fears and concerns. It’s my BABY whose now an 18 y/o young adult. Where did the time go! Doesn’t time just fly, Darnise?! Thanks so much for your comment! Baby—I try. When it comes to the girlpies, I try to get it all the way in! Thanks for commenting! “One word mumbles”…I remember those. Now that I am away from home, my mom and I talk for hours at a time. Growing up is a roller-coaster of changes. I know that’s right, Emily! I’m sure I had a few of those for my mom, too. Thanks so much for commenting! Very descriptive, well-written post about you and Mari in her 14th year. Thank you so much, Don, for the compliment and the comment! Great post, and great insight! I am about to embark on the same journey with my daughter. I am more nervous than she is! Ah, yes, the nerves, Alanna. It’s good to know we’re not alone! Thank you so much for the comment! First day of high school seems so long ago… Thank you for sharing your story!! Indeed! Thanks so much for your comment, Sam! Thanks so much, Yasmin, for the compliment and the comment! So true, 14 is a wonderful/terrible age for a mom! Don’t panic: respect and good sense, stand back and come forward, be on watch and serene…until dolphins fly and parrots swim the sea! Gemma: my favorite quote from my favorite Stevie Wonder song! Thanks so much for the advice and the compliment! Such a beautiful, beautiful meditation on that age! Our daughter is nearly half that age, but I see flickers of all that independence in her even now. Thank you for this poignant, love-filled portrait of what we have in front of us! And thank you, too, for lending your powerful voice to Shot@Life and the kids who need it. Polly, thank you so much for the lovely compliment and for the comment! Really hard to breathe over the lump in my throat! Tell me about it, Jeri Ann! Thanks so much for the comment! My children are only 4 and 6 and I’m already preparing for those rough and tough days ahead. Thanks for the heads up and the sincere reminder that letting go isn’t always easy! And thank you, Valorie, for the comment! I was filling out enrollment forms for child 4 and child 5 and I couldn’t believe one was in 10th and one was in 11th grade. Not little girls anymore but young women. Little women, indeed, Paula! Thanks so much for the comment! Supporting the cause and agree that parenting a teenager is NOT for punks! Thanks so much, Dr. Ivor, for the comment! Will be at this same point one year from now! Beautiful post for a wonderful cause. Best wishes! Halley, thanks so much for the comment and the compliment! Beautiful post! 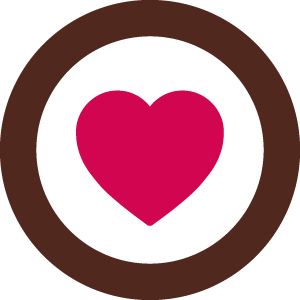 Love the sentiment–Love the cause and I Love this blog!!! Janel, thank you so much for the compliment and the comment. I hope you come back to visit MyBrownBaby! Excellent! I need to read your blog more often! I should’ve been doing that anyway. Victoria—come back soon! 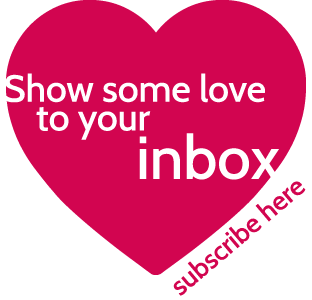 And my goodness, if you can spare a post or two, bring it, with your fab writing self! Thanks for the comment! I so wish I can archive this and pull it out in 7 years when my baby will be turning 14….because somehow I know that with her precociousness now….Im sure to have a teen “smelling herself” too.Continue your good work! Oh, girl—you don’t know the half. I wish you nothing but love, luck and success! Thanks for the comment! Your post very much BLESSED me…I have a 14 yr. old daughter and it is very challenging! Please stop eating pigs. They are kind, loving smart animals who have love to give and share and who care as much about their family members as any of us do. Rick: I am a meat-eater. Pork is included in my list of things I like and choose to eat. If you feel differently, you are free to eat as you please, as am I. Thanks for your comment. No doubt about it, 14 is when the rubber meets the road. You grasped the beauty, wonder, and sheer stark terror of it so well. Loved the post. I wonder if we ever let them go? Happy to help with the vaccines! Stacy, thank you so much for your compliment and comment! You did a wonderful job writing about the highlights and challenges of your daughter’s life. You described your love for her beautifully. My niece is a few years away from 14 so I appreciate your insight into what we have to look forward to. She too has to learn some of the life lessons you spoke of as she is the most beautiful result of a blonde hair, blue eyed father and a dark African-American mother. Thanks again for sharing and being part of this month’s Shot@Life. Thank you so much, Michele, for your lovely compliment and comment! I loved this post. I am just about to enter the world of teenagers, as my oldest will be 13 next month. I am excited and scared for him (and me) all at the same time. Thanks for the insight! Can definitely identify these days. My 12 y/o son is definitely to the ‘ignore his little sister for hours’ stage! He mumbles very few words during those hours! Good post. Happy to join the cause. Better late than never. Don’t you miss the younger days sometimes, though? I know I do. Thanks so much for your comment! Thank you for sharing the wonders of your daughter – what a big day, first day of high school! And for doing it in the service of such a good cause. Reissd: thank you so much for your comment! Loved this post! I already am in disbelief that my boys are 2, and I know they will be 14 in the blink of an eye! It definitely flies by fast! Two already? Good grief! It seems like you just had them yesterday… thanks for the comment, Jennifer! Don’t be scared—and don’t be a punk about it! Just do your best. Thanks for your comment! 14 was one of my favourite ages! Made a lot of new, good friends that year. Thanks for your post! Awakening health consciousness in children should be responsibility of school health services. I agree that school needs to be a place for children to learn about health consciousness, but as a parent, I do feel I’m more responsible for that education when it comes to my kids. Thanks for your comment. Awwww… one of my favorites! I used to sing this to Mari when she was a baby. Thanks for your comment! I wish your daughter nothing but success in her college journey! Thanks for your comment. No ma’am, it is not! Good luck to your daughter—and thanks for your comment! Roots and Wings – that’s what we try to give them in just the balance that will send them out into the world knowing there’s always gonna be home. Yes, Wendy—roots and wings! Thanks for your comment! Thank you for a wonderful post and for helping Shot@Life in this wonderful campaign! I shouldn’t have read this at work…tears are streaming down my face and I’m hoping no one walks by my office. This was a beautiful post. I am more than a decade away from this milestone with my own son, but already it feels like it will be here too soon. I can only do my best in the years between and hope we’re both well prepared for those challenges that are unique to teenagers. Thank you so much for sharing. And thank you for supporting Shot@Life. There are so many moms out there who don’t have access to basic medical care, and I hope we never take it for granted. Yes – Everything you said. Enjoy this moment. These high school years will pass even more quickly, no matter how much you might want to freeze time just a little bit. (Mine just started her senior year and when I’m feeling a little wistful — when I’m not panicking over the whole college thing). This was a lovely post. Thank you so much, Donna—for the advice and the comment! Great story! I worry all the time about my children growing up especially in the world we live in where there’s so many people out there with no respect (not only towards each other, but towards themselves) and a lot with not a care in the world about how they may affect one another. When I first had my daughter I worried about when she started grade school, now I worry when the teen years come. I always teach my children to treat people the way they want to be treated. I will keep instilling that in their heads for years to come. Thank you for sharing and always happy to help a great cause. And thank you, Mrs. H., for your beautiful comment! Wow. Just wow. Sad that here in the UK High School begins at 11 years of age and all that happens even sooner. You describe it all well. Michelle, I think I would lock my kids in the basement if high school started at age 11. My youngest is that age. She does not need to be around 14 year olds. Like, at all. Wow! Thanks for the comment! Michelle, thank you so much for the compliment and the comment! Great post. Made me think back on my own first day and just how transformative (and scary) that time was. I still feel the effects of that age and will keep this in mind when my kids get there. And thanks for supporting the Shot@Life campaign. Adam, thank you for your kind words, and for support the Shot@Life campaign! What a wonderful description of a wonderful day! My boys are older; college aged, but the feelings are still the same. Thanks for reminding me what 14 was like. Julia, thank you so much for the compliment and the comment! What a great story. I was transported into your world and that of your 14-year-old daughter. Marilyn, thank you so much for the compliment and the comment—much appreciated! So hard to let our babies grow up! Beautiful post. Thanks so much, Lois—for the compliment and the comment! This is awesome! Amazing times ahead for you and Mari, I have no doubt. Look forward to you doing great things! Maria: than you so much for the comment and the compliment! Love this for you and me. I too have a 14 year old. And as I watch her blossom in front of my eyes, it’s beautiful and scary. Just know we’ve set great examples as women of wonder. So now it’s time to lovingly guide and support. Hugs and love to us and them! Hugs to your baby, too, Rochelle! And thanks for your comment. This post is so beautiful that read it a few times to soak in the power of the emerging woman of your daughter… reminding me of MY 14 and my two daughters’ 14 and coming up to my two granddaughters’ 14. The independence and dependence, the seeking and the shelter, the going and staying, the discovery and the comfort… but always the LOVE, the great LOVE and wisdom of the generations watching the emergence. Mesmerizing. Thank you for this, and thank you for your great support of Blogust and Shot@Life so every Mama and Grandmama and Great-grandmama may see the same moments and milestones. Sharon: thank you for your beautiful, powerful words, and especially for your commitment to Shot@Life! Excellent post! And thanks for supporting Shot@Life!! Thank you, Roddy, for the comment and the compliment! Thanks for sharing and taking part of the Shot at life campaign! Beautiful story. Thank you, Vivi, for your comment and compliment! I’m a few days late reading this, but I’m glad I did. Such a beautiful post! They really do grow up so fast, don’t they? But every minute of it is wonderful! Thank you for the lovely comment, TJ! They grow so fast and I am grateful for being part of this great campaign. Vaccines save lives! Happy to help out a great cause. Elita: than you so much, dear friend! The teen years are hard on everyone. Good luck to you and Mari, and thank you for this wonderful post. Erin: thank you so much for the compliment and the comment! In 6 days, 6 hours, and 22 minutes my middle daughter starts high school. She turned 14 last month, and is a blossoming young woman, full of opinions. Although my oldest daughter is 21, your eloquent post still sums up my current feelings. I tear up every time I think about my 14 y/o starting high school, and needing me less. Thank you for this wonderful post. I’m a punk! Thank you for your kind commeent, Bosikowicz! Thanks for sharing your emotions! Thank you so much for your passion, ThirdEyeMom, and especially for your comment! Thank you and thank Shot@Life for this blog post! And thank you for your comment, Stacy! Thank you for your comment, Steph! Thanks for helping out with this cause! That balance between being heard and letting oneself listen – if someone finds a foolproof way of delineating it they’ll make a fortune! Thank you for your comment, Al! Gosh, I loved this post. There were so many great lines in it, like, “…(try to) acknowledge that she has the right to… think how she thinks (with logic and evidence to back it up).” Ha, loved it. Good advice! And cheers to you for supporting Shot@Life! Thanks so much for your comment, Colleen! Just beautiful. Gotta love those teenage girls. Thanks so much for your comment, Darryle! That’s EXACTLY what you have to figure out how to do, Alison. Trust your parenting—trust you kid. It’s not easy, but it CAN be done. Thanks for your comment!